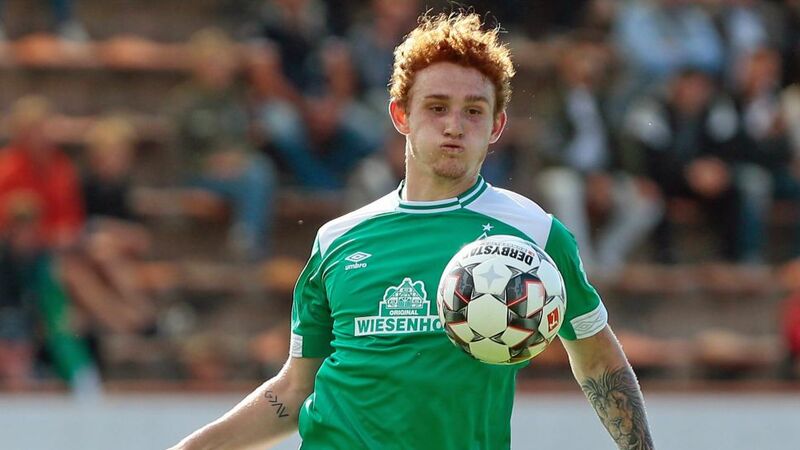 United States international Josh Sargent continued his fine start to the season by scoring for Werder Bremen’s first team in a friendly against third-team side SV Meppen on Saturday, providing further evidence of the teenager's ability to succeed at senior level. The 18-year-old is available to play for Bremen in the Bundesliga this season, and has been on fire for the team's reserves so far this term, scoring five goals in seven outings in the Regionalliga North, Germany's fourth division. Bremen reached an agreement with the US Soccer Federation for Sargent to stay in Germany during the September international break - rather than join up with the senior US national side - and the Missouri native was given a run-out in two first-team friendlies for coach Florian Kohfeldt's side. He underlined his predatory skills against Meppen, latching on to a loose pass in the 82nd minute before playing a one-two with Claudio Pizarro on the edge of the box and finishing from close range. Sargent signed a professional contract with Bremen when he turned 18 in February, but he was ineligible to play in the Bundesliga until this August. The U.S. Soccer Young Male Player of the Year for 2017 has already scored once in three appearances for his country, and told bundesliga.com in June that he was keen to push on in Germany with the help of a “really good support system” at his club. Sargent made a good impression for the first team in pre-season, scoring his first goal in July during a friendly victory over fifth-tier opposition.